Introducing God begins amidst of the smorgasbord of spirituality that is the modern west and then we look back to the pluralistic amphitheatre of Ancient Athens. We assume the course guests haven't accepted that the God of the Bible is true. Dominic invites participants to "Come with me on a walk in my world view." We meet God in relational categories. We do not “become a Christian,” but rather, having got to know God over a number of weeks we are encouraged to enter into a committed personal relationship with Him—recognising his commitment to us, and our response to trust and serve him. We see “sin” not simply as rule breaking but as our declaration of autonomy. 'How does it work?' over 'Is it true? Much more than “Is it true?” our guest’s questions have been “How does relationship with God work in your life?” The answer to the 'truth' question is provided in the small group when it comes up. Over the course, strong bonds form amongst the table groups. For many guests this is the first group of adults that they have had extended and significant conversations with about Christianity. Our experience has been that many groups have wanted to keep meeting together after the course (and that some who haven’t entered into relationship with God at the end of the course do so months later in what have become follow up Bible study groups). It is crucial that the guests on Introducing God feel that this is an environment where they are safe to express their views, however dissenting. Christian hosts need to “bend over backwards” to achieve this. 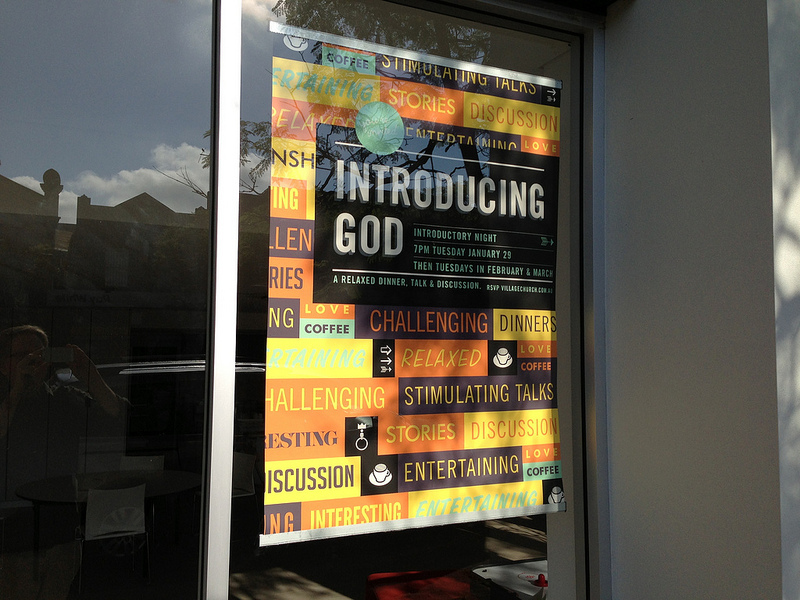 Introducing God has an Introductory Session, then it's a seven night course.